One of the most common preventable diseases in dogs is Heartworm, which is potentially fatal and expensive to treat. Heartworm is caused by bites from infected mosquitoes. After six months, adult worms infiltrate the dog’s heart and/or lungs. 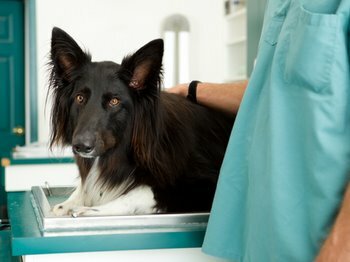 Blood tests can detect the disease, but not until the dog has been infected for about seven months, according to the American Heartworm Society. Dogs who develop Heartworm disease do not show symptoms in the early stages of their infection. Later, symptoms may include coughing, loss of energy, and weight loss. If left untreated, dogs infected with Heartworm will die. The American Heartworm Society recommends annual Heartworm testing, which may be covered by some pet insurance companies. Testing for the disease is required before a dog may begin Heartworm preventative. Such preventatives include chewable tablets, topical and injectable treatments, and the costs of these medicines can also be offset with pet insurance. Heartworm prevention is important because some sources believe this potentially fatal disease may be on the rise in the Eastern half of the United States and the Gulf Coast. Treatment for the disease is costly, usually requires hospitalization, and recovery can take up to two months. Since Heartworm is preventable, many pet insurance companies do not cover treatment costs. The American Heartworm Society reports that nearly 100% of dogs bitten by infected mosquitoes will develop Heartworm. Dogs can catch Heartworm on their daily walk or from a mosquito inside the home. Dog owners should not skip giving Heartworm preventative treatment to their dogs, which is safe and very effective, especially since it can be covered by pet insurance.